THE CAR industry’s changing fortunes have left a deep mark on Detroit’s urban landscape. Once-bustling factories such as the Fisher body plant, Ford’s Highland Park and the Packard plant became vast, abandoned graffitied shells—a sad reminder of the former might of America’s “motor city”. Now General Motors’s Hamtramck assembly plant looks likely to join the list of closed facilities. 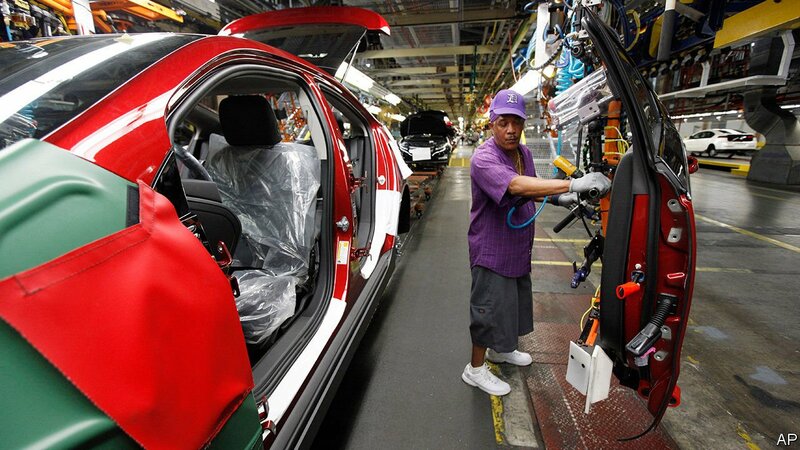 On November 26th GM announced that Hamtramck, along with four other factories in North America, and two more unspecified plants elsewhere, would not be assigned new vehicles or components to put together after next year.